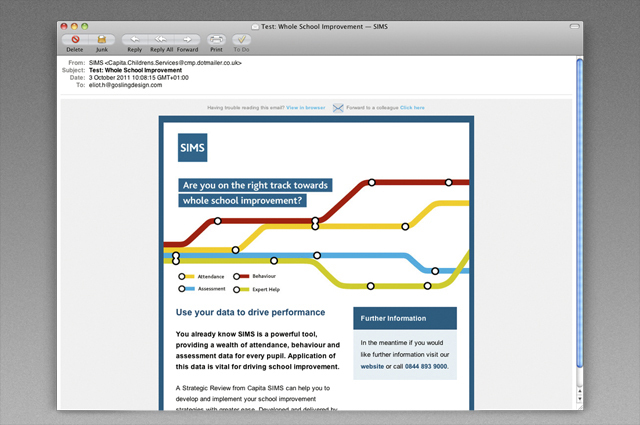 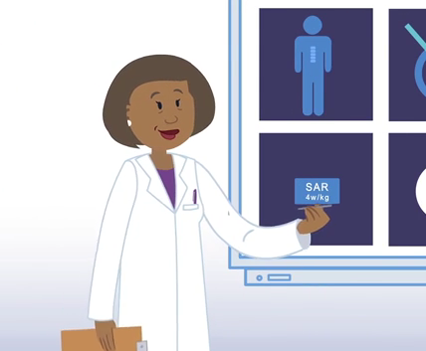 Gosling worked with Capita SIMS to design and produce a rolling programme of creative and highly targeted integrated awareness campaigns to help schools make the most of their information management software. 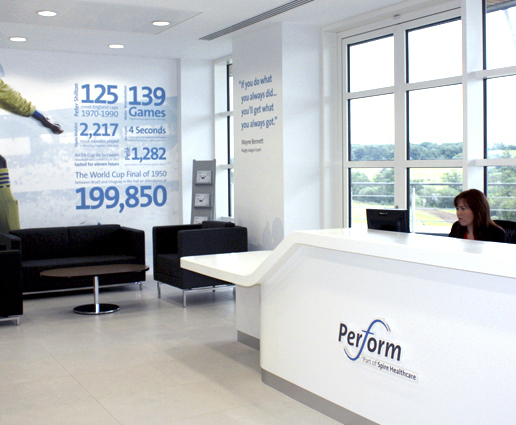 Part of the Capita Group, the UK’s largest outsourcing company. 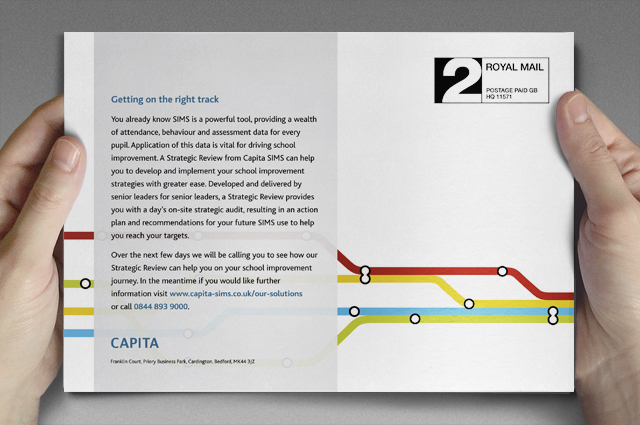 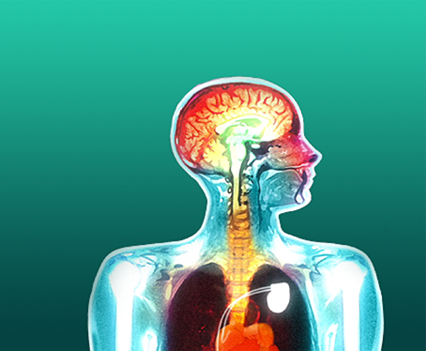 Capita SIMS is the UK’s leading supplier of information management systems for education and children’s social care. 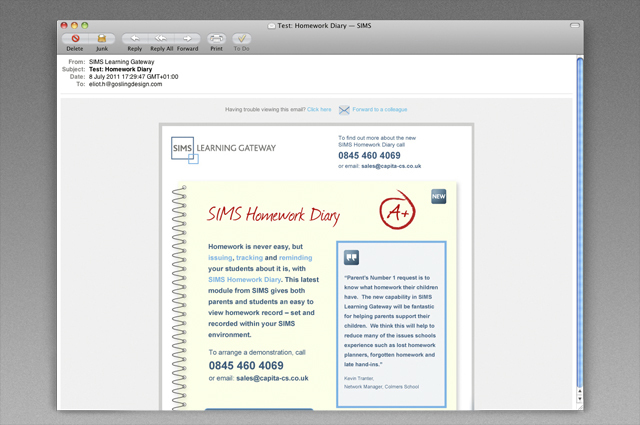 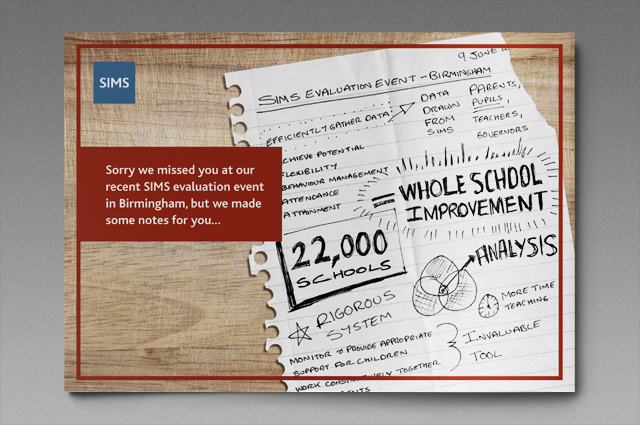 Gosling designed and produced a range of integrated communication campaigns to keep schools updated about new products and to raise awareness of how SIMS systems can help improve school performance.